The new year brings growing interest in new goals with health and fitness at the top of most peoples’ list. American College of Sports Medicine’s (ACSM) Health and Fitness Journal recently released its top fitness trends for 2018. These trends will continue to help us better understand how gym owners utilize commercial real estate for success. HIIT consists of short bursts of high-intensity movements followed by a short period of rest. These exercises burn an enormous number of calories while sculpting and toning muscle physique in bursts of 30-60 minutes. It’s easy to see why people are drawn to these metabolic programs given their quick, fast-paced, calorie burning workouts. DAN’S REAL ESTATE INSIGHT: The growing popularity of HIIT has motivated gyms, commercial health clubs, and fitness boutiques to adopt business strategies to meet the demand. Fitness groups that specialize in HIIT are usually smaller boutique gyms in neighborhood market subsets around larger metropolitan areas. Gyms like F45, Orangetheory Fitness, and Barry’s Bootcamp provide great options for HIIT-based workouts in the southern California region among others. These small box gyms (800 – 3,500 square feet) will typically pursue space in well placed retail centers or easily accessible industrial parks that provide convenient destinations for gym members within 3 miles (or travel 10 minutes) or less from their home or work. Of course, the big box gyms, like 24 Hour Fitness and Lifetime Fitness, have adapted to this growing trend by providing HIIT-based exercises classes to compete with the quickly growing boutique gyms. Group Training workouts are led by one or two instructors that teach, lead, and motivate individuals in a group setting usually between 5 – 20 participants. These programs are designed for different fitness levels and range from metabolic circuit training and high-intensity cycling classes to fun sweat induced dance classes. So, what are the driving factors behind this trend? “Most people want instructor-led exercise that encourages diverse, but safe, fitness activities in a social environment,” says Brian Biagioli, the executive director for the National Council on Strength & Fitness Board for Certification, Miami, FL. Imagine going to a class that specializes in your favorite exercises where you are surrounded by energetic people in a social atmosphere who drive motivation in group settings. “Social support is one of the strongest components of behavior change and we see HIIT training often done in a group setting as the number one trend and group training as the number two,” says Gina Cortese Shipley, a senior advisor for the Cooper Institute in Dallas, TX. DAN’S REAL ESTATE INSIGHT: Again, the leading groups that demonstrate the greatest involvement in these trends are smaller boutique gyms that specialize in HIIT and group workouts. According to the fitness-focused investment firm, Piper Jaffray, boutique chains have been adding new studios at a rate of 450% per year since 2010. Does that mean that the market is over saturated? Not at all. Because gym members are interested in keeping their gym conveniently located within a 3-mile distance from their work or home, it provides plenty of opportunity for gym owners to expand into neighborhood markets. This opportunity will of course plateau when enough gyms are present, and the competition starts driving the average class price down, causing the operating costs to outweigh the economic value for the gym owners. However, most signs point to growth for the foreseeable future. DAN’S REAL ESTATE INSIGHT: The groups that will benefit most from this growing trend include companies such as Apple, Garmin, and Fitbit. This growing trend will surely provide an increased demand to the corporate office space and industrial tech space for each of the respected companies as they continue to influence fitness markets. Body weight training has become increasingly more popular in the past five years. The increasing popularity of commercial fitness clubs is mainly due to its requiring minimal equipment, making it a very inexpensive but effective way to exercise. Body weight training uses the human body as the form of resistance and includes pushups, pull-ups, body squats, resistant training, and a variety of different creative body movement exercise. This provides a similar opportunity for the small box gyms with many fitness groups taking this body weight training outside the walls of the brick and mortar gym and performing these workouts on the beach, in the park, and even out to rock climbing destinations. DAN’S REAL ESTATE INSIGHT: For many gym owners and managers, this hybrid connection to the outdoors can provide an effective way to reduce overhead costs such as equipment rental, facility maintenance, and the standard lease rate. Strength training consists of weight lifting or training to build muscle strength. It’s prevalent in both community-based programs (the small boutique gyms) and the commercial clubs (big box gyms), where a large percentage of younger members almost exclusively use weights. 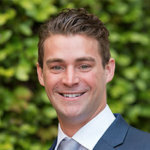 DAN’S REAL ESTATE INSIGHT: Midsize commercial clubs such as 24 Hour Fitness, Crunch Fitness, and Chuze Fitness have used strength training as the foundation for their gym platform providing an open floor plan for cardio equipment and free weights that typically occupy space between 10,000-30,000 square feet. Larger commercial gyms such as LA Fitness, Lifetime Fitness, and even 24 Hour Fitness Sport and Super Sport have built on this weight-based platform by adding basketball quarts, swimming pools, and group exercises classes to draw on additional amenities for recruiting a bigger member base. It’s the one-stop shop for all your exercise needs. Because of these diverse and expansive exercise options that the larger commercial clubs provide, these clubs typically take up a larger real estate footprint which can range from 30,000 to 60,000 square feet and can even go higher depending on the surrounding population. Who will succeed in this market, and how? In a competitive market of new and developing gym trends, it’s critical that every gym takes into account the services they provide and who they serve. Strategically aligning your business with growing trends can make or break its future success. Although understanding the fitness trends is a key component to success, it cannot be executed without the proper location. If fitness trends are theory, the gym location is the first step to executing theory. One of the most important factors that fitness owners consider is where to position their gym in this competitive market. Whether you’re a small box gym that specializes in group-based training, or a big box gym that provides a variety of fitness options, the real estate component will be the critical step for continued growth. Another factor to consider is revenue structure. Larger gyms that provide low-priced memberships have maintained a high revenue based on monthly membership fees, where people are willing to pay even if they are not utilizing their membership to the fullest. This will keep these groups safe as these gyms also satisfy a very different function along the fitness spectrum. However, location is still key for continued growth as these groups will want to avoid crowding over-saturated markets with other large box gyms. Keeping in mind that your member base primarily seeks the closest gym for the lowest cost, how will you be making changes to your real estate strategy this year?